What is “WP Gallery Manager” ? 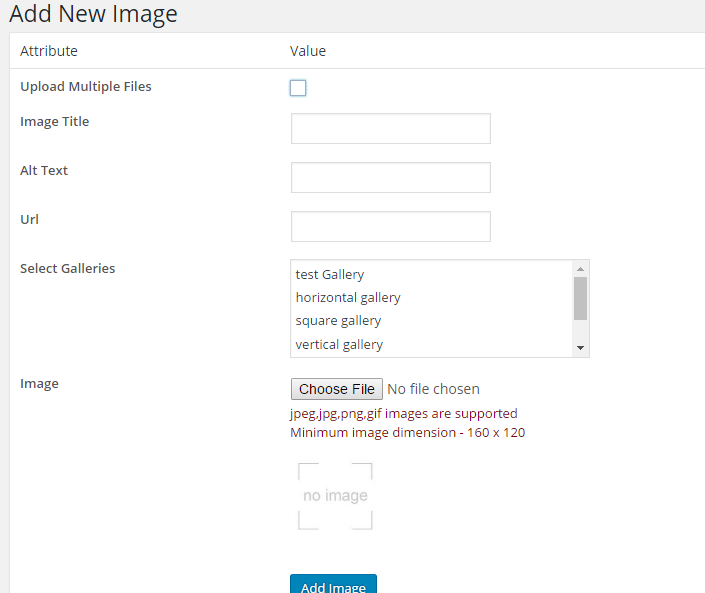 Can I override wordpress default gallery using “WP Gallery Manager” ? Are the galleries created using “WP Gallery Manager” responsive ? Does the “WP Gallery Manager” support autoplay ? In this section we can see all the uploaded images and we can add new images to the section. Here we can see all the images with title and preview. To edit the image, click the edit button and to delete the image click the delete button. To add a new image, please click the “Add New” button. Here we can upload images one by one with title, alt text and url, or we can upload multiple images at a time. Now select the gallery where the image wants to upload and select the image and click the “Add Image”. Note 1 : You can select multiple galleries by selecting the “Ctrl+mouse click”. Note 2 : You can upload image if at lease one gallery is present. If there is no gallery initially, please create a new gallery and then add the image to the gallery.